Features: Voltage: DC 12V Lumen: 624LM Watt: 2.4W Width: 27mm Total Height: 38mm Weight: 0.15oz LED Type: Latest 2835 chips SMD Color: Pure WhiteColor temperature: 6000-6500KThis is Standard T10 194 921 168 adapter, Using for cabinet light, RV lighting, boat and landscaping lights, etc. 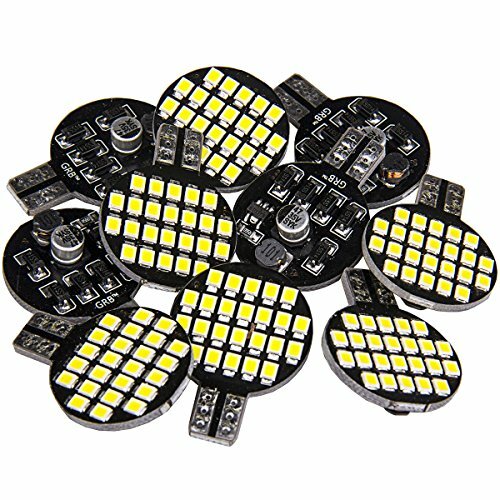 2019 New Arrived Much safer, Brighter, lower power consumption 300% Brighter than Normal SMD/LED This listing features 10 pieces of Brand New, super bright T10/194 24-SMD LED Lights. Each LED bulb contains 24 Latest Beautiful High Power 2835 SMD chips, which are much brighter than the stock OEM traditional lamps. and the same type of LED bulbs sold by other sellers. 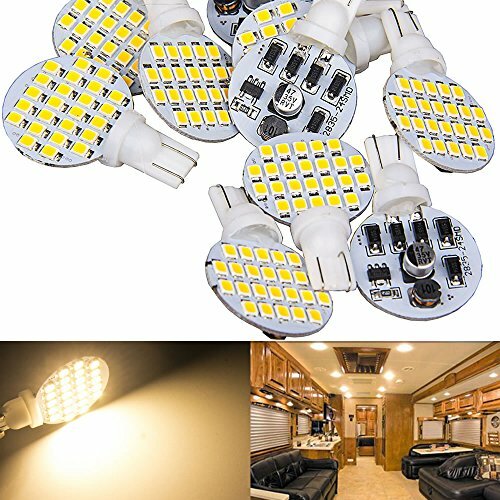 Our LED Advantages: - Energy Saving, Environmental-friendly.- Low heat generation ensures a longer bulb life, Up to 50K+ Hours Life Time.- Easy installation, Direct plug in and play.- Immediate response, 1000 times faster than Traditional lights.- Bulbs are shock and vibration proof.- Functional and durable LED bulb, you will love it. 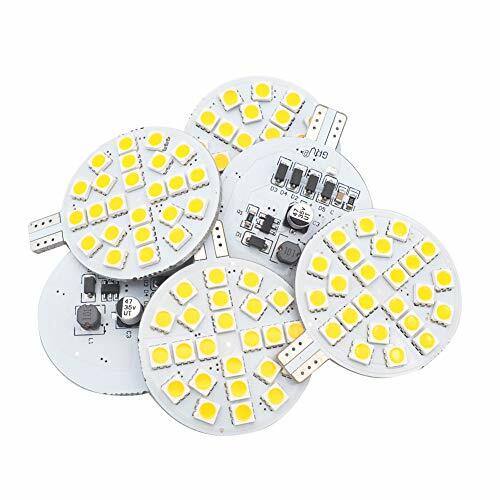 Features: Voltage: DC 12V; Lumen: 624LM; Watt: 2.4W; Width: 27mm; Total Height: 38mm; Weight: 0.15oz; LED Type: Latest 2835 chips SMD;Color: Neutral White;Color temperature: 3500K. This is Standard T10 194 921 168 adapter, Using for cabinet light, RV lighting, boat and landscaping lights, etc. 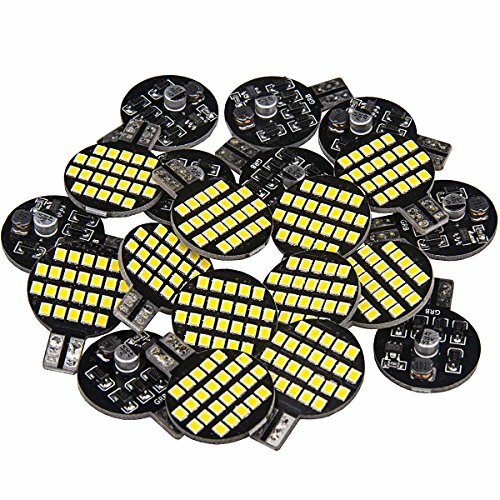 2019 New Arrived Much safer, Brighter, lower power consumption 300% Brighter than Normal SMD/LED This listing features 20 pieces of Brand New, super bright T10/194 24-SMD LED Lights. Each LED bulb contains 24 Latest Beautiful High Power 2835 SMD chips, which are much brighter than the stock OEM traditional lamps. and the same type of LED bulbs sold by other sellers. Our LED Advantages: - Energy Saving, Environmental-friendly. - Low heat generation ensures a longer bulb life, Up to 50K+ Hours Life Time. - Easy installation, Direct plug in and play. - Immediate response, 1000 times faster than Traditional lights. - Bulbs are shock and vibration proof. - Functional and durable LED bulb, you will love it. 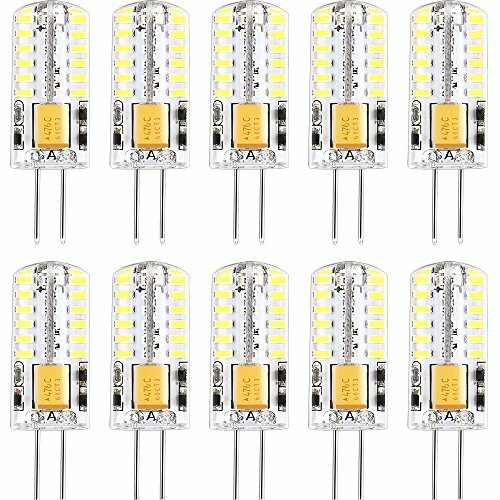 This listing features 10 pieces of Brand New, super bright T10 921 168 194 24-SMD LED bulbs.Each T10 LED bulb contains 24 Latest High Power 2835 SMD chips, Super Bright 624Lumens, 4.8W, which are much brighter than the stock OEM yellowish traditional lamps, and the same type of LED bulbs sold by other sellers. 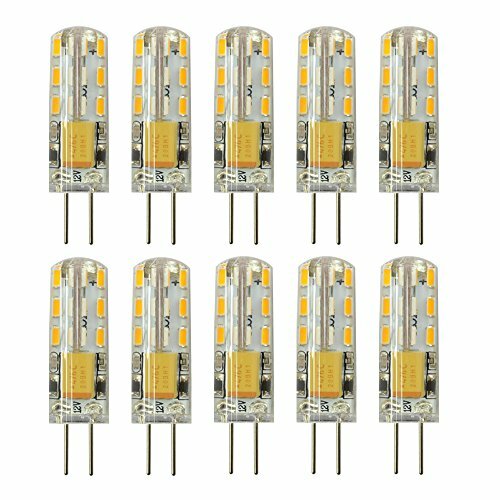 SPECIFICATION: 100% Brand New and high quality Voltage: DC 12V Qty: 10PCS T10 LED Bulbs SMD Type: High Quality 2835 Diodes (super bright) Qty of SMD: high power 24 SMD LED Color: Warm White(3000-3500k) Luminous flux: about 624Lumens, 4.8W. Life Expectancy: 50000 hours Low Power Consumption Width: 28mm Total Height: ~40mm Weight: 3.0g Cross Reference: W5W (194 168) 147 152 158 159 161 168 184 192 193 194 259 280 285 447 464 501 555 558 585 655 656 657 1250 1251 1252 2450 2652 2921 2825 504 2821 12256 12961 M158 M155 ......(For Reference Only) Application: Home Spotlight (no shadow) Used in nearly any application, including under cabinet, RV, boat and landscaping lights, and so on Interior Light, Dome light, Map light, Door light, Cargo/Trunk light, Glove Box light, License Plate light etc. About Low Voltage A19 LED filament bulb AC 12-24V and DC12-24V valid voltage input, widely applicant for different low voltage system Low voltage 12-24V input, used as RV Camper Marine Lighting, working with off grid solar battery power system. Same shape and style as traditional bulb, really 360°lighting angle. It can be widely application for porch lighting, yard lighting, garage lighting, garden lighting ect. Specification: 4W 470lm equivalent 40W incandescent/Edison bulb. Parameter: 4.2Inch(H)* 2.4 Inch(W) Cover: Clear glass cover Base: E26 medium screw base. Working Voltage: AC /DC 12-24V. Working Temperature: 4℉-104℉ CRI: 80Ra. Color : Warm White 2700K±200K. 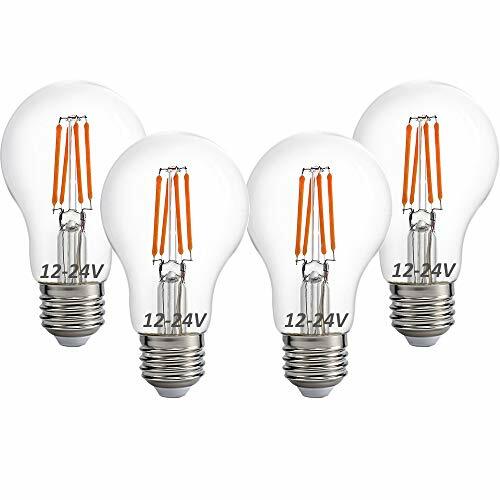 Lifetime: 25000h, Dimming: No-Dimmable, Package: 4 x 4W low voltage led filament bulb. Note: 1. This bulb only working with lower voltage 12-24V input power system 2. This bulb is glass cover, when used as RV Camper Marine Lighting, after installation please take care it far away from colliding 3. When used with outdoor fixture, please make sure the fixture water proof well for the E26 screw base. 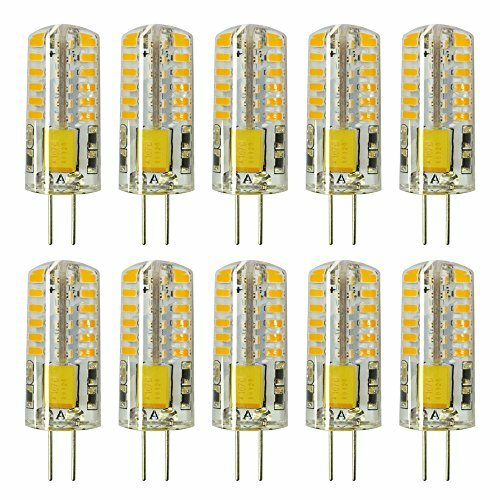 Specifications : Base: T10 921 194 LED Qty: 24 pcs (High Quality Brightest 3528 SMD Chip) Input: AC12V/DC 12V~24V Power: 2.5 W Diameter: 28 mm(1.10in) Length: 38 mm(1.50in) High: 10 mm(0.39in) The thickness of the PCB:2 mm Angle: 120 Color: Warm White (2800k~3200k) Features : +High-efficient LED chips,enjoy high color rendering index and no flickering . +Low power consumption, Less energy cost than using traditional Halogen bulbs. +Extremely long service life. More than 50,000 hours of theoretical service life. +Excellent replacement for Car/Camper/Trailer/Truck/RV light bulb replacement +Simple to install,just plug & play. Warranty :These T10 led bulbs have a 13-month warranty. Application: The T10 Wedge 24-SMD 3528 LED Bulb is perfect for using in Corner Light,Reading Light,Dome Light, Map Light,Tail Light,Trunk Lights Wedge Bulbs,Instrument Panel Lamp, Boats, RV,Yachts,Car etc. Packing Include: 20 pcs Grv 2018 NEW ARRIVAL! T10 Wedge 24-SMD 3528 AC/DC 12V-24V High Power LED Bulb Car Light Warm White. Note: Make sure this is the correct type of bulb before placing order. Base and voltage should be fitted. 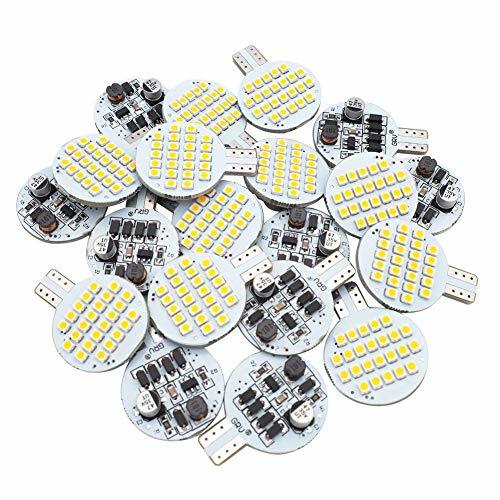 Specifications : Base: T10 LED Qty: 24 pcs (High Quality Brightest 5050SMD Chip) Input: AC12V/DC 12V-24V Power: 3W Diameter: 43 mm(1.69in) Length: 54 mm(2.13in) Thickness of PCB board. : 2 mm(0.08in) Angle:120° Color: Warm White (2800k~3200k) Features : +High-efficient LED chips,enjoy high color rendering index and no flickering . + Low power consumption, Less energy cost than using traditional Halogen bulbs. +Extremely long service life. More than 50,000 hours of theoretical service life. +Excellent replacement for Car/Camper/Trailer/Truck/RV light bulb replacement +Easy to install, simply to replace, convenient using. Warranty :These T10 led bulbs have a 13-month warranty. Cross Reference T10: W5W 147 152 158 159 161 168 184 192 193 194 259 280 285 447 464 555 558 585 655 656 657 921 1250 1251 1252 2450 2652 2921 2825 Application: The T10 24-SMD 5050 LED Bulb is perfect for using in Corner Light;Reading Light;Dome Light;Map Light;Tail Light;Trunk Lights;Patio Lights;Landscape Lights;Instrument Panel Lamp;Boats; RV;Yachts;Car etc. 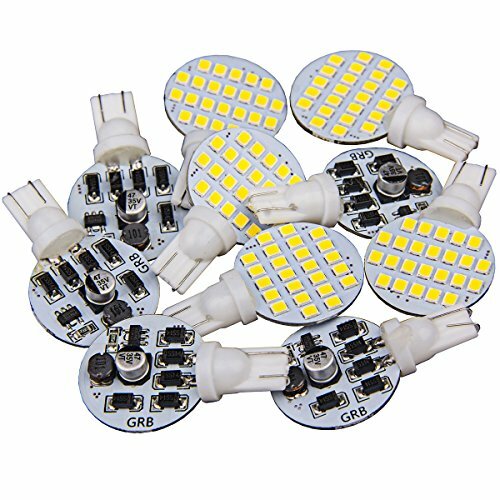 Packing Include: 6 pcs GRV T10 24-SMD 5050 AC12V/ DC 12V-24V High Power LED Bulb Car Light Warm White. Note: Make sure this is the correct type of bulb before placing order. Base and voltage should be fitted.